With eight days left until MAKE London, we’re highlighting some of the community makers who are showing their creations off to the city. The first maker profile is for a father and son team – James and Richie Bullbrook. 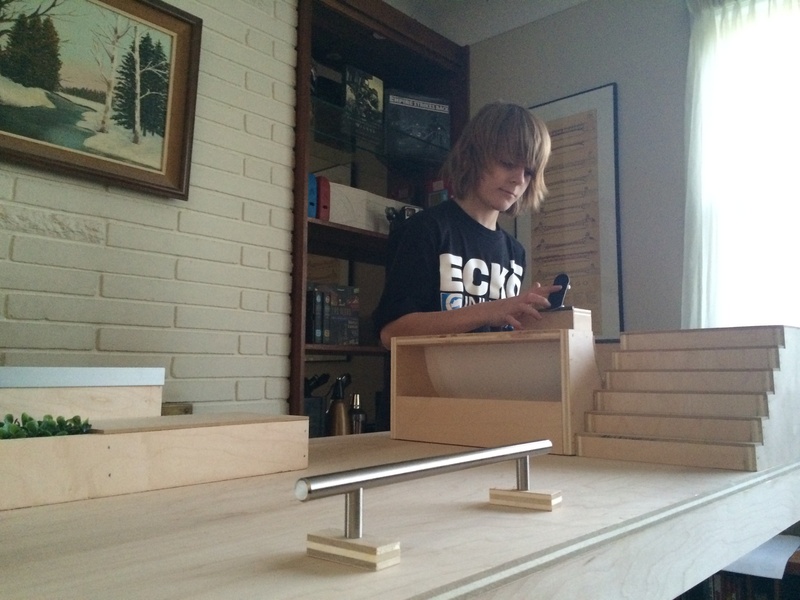 This dynamic duo makes miniature skateboard parks for finger boards. Until Richie can find the space to build the skatepark of his dreams, he and his father have been designing and building their own finger-sized parks. “I imagine the kind of life-size skateboard ramp I’d like to ride on. I can’t have them yet, so this is the next best thing.” says Richie, age 10. Together they build ramps using 1/2 in. maple plywood, making curves out of bendable hard-boards. Richie handles the design work and his father helps him with physical manufacturing. When wet, the hard-board can be bent into curves. James then cuts the board using a table-saw with an attached jigsaw. Afterwards the father and son glue and nail everything together making their homemade skateparks. 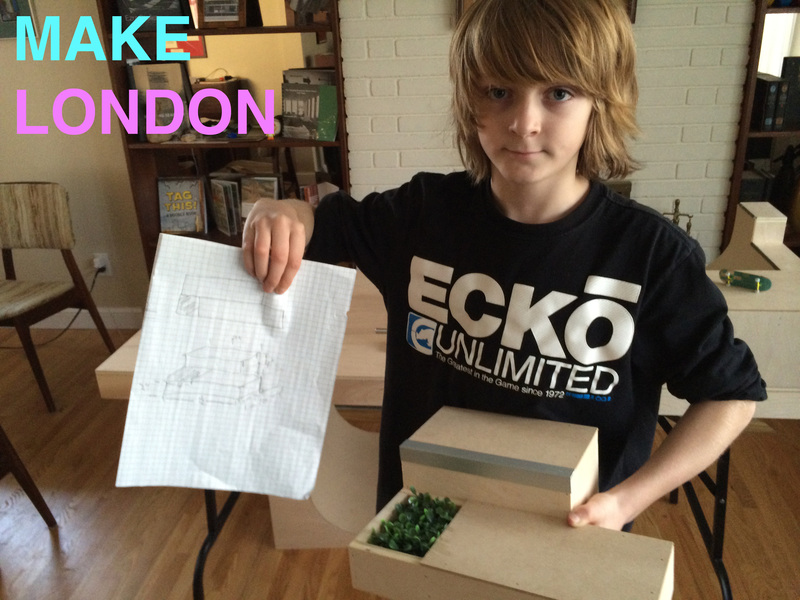 If you’re interesting in learning more about their mini skateparks, join us November 23rd at MAKE London, 12-6pm at Edgar and Joe’s Cafe on 255 Horton St. E.
Each day leading up to MAKE London we will highlight a different community maker – stay tuned for more amazing projects. If you have a brilliant creation you’d like to share with the city, contact us, we’d love for you to help make our event a success!